From left: Steven Gonzalez, managing director of compliance at Goldman Sachs, and Lindsey Morfin, vice president of risk at Goldman Sachs. Hispanic Executive’s #NextGenLideres series kicked off on June 14, 2018, in New York City, in partnership with Goldman Sachs. 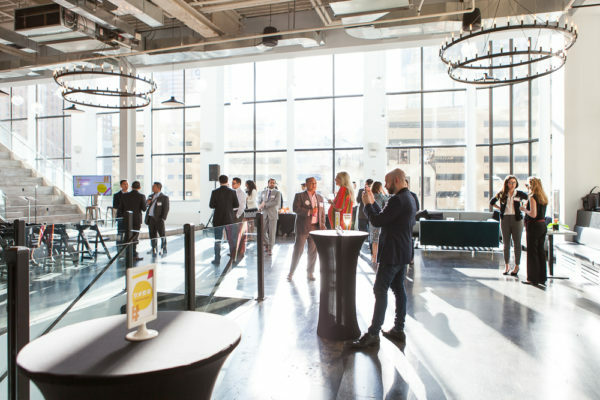 The event series, which began three years ago, is a networking platform for talented, multicultural professionals to come together for an evening of learning and connecting with like-minded peers and rising millennial leaders. The series partners with forward-thinking companies committed to building a pipeline of diverse talent, and connects them with an impressive network of up-and-coming Latinx professionals. #NextGenLíderes attendees connect at the Mezzanine NYC ahead of the event. 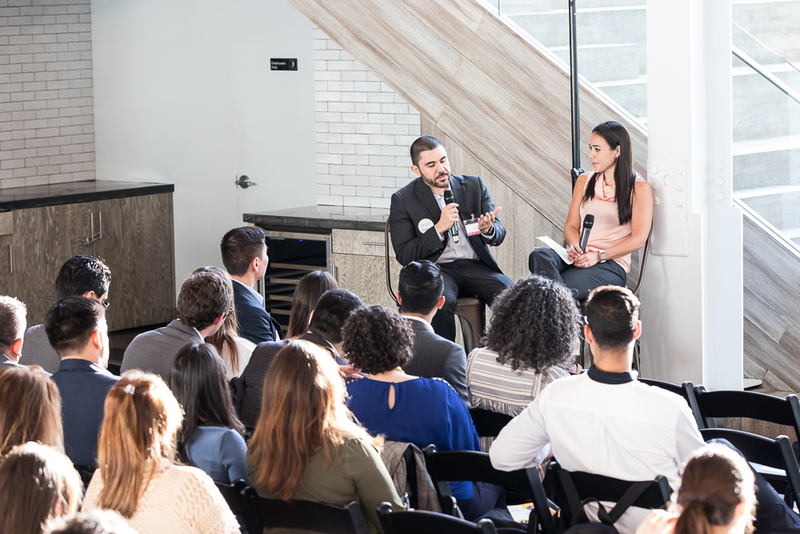 The first 2018 event took place at the Mezzanine NYC, in the heart of the Financial District, and brought together a group of seventy young professionals from Goldman Sachs, Merrill Lynch, Deloitte, JPMorgan, IBM, KPMG, and more. The evening’s guest of honor and featured speakers included Goldman Sachs’ Steven Gonzalez, managing director of the compliance division and Lindsey Morfin, vice president of the risk division. Gonzalez, who has managed large teams globally covering all aspects of compliance, spoke on the importance of mentorship, forging strong relationships, and taking risks. Morfin, who interviewed Gonzalez, also shared insights into her leadership journey and similar perspectives on why change is good. “Don’t stop asking questions. When someone asks you why something is done a certain way, it’s usually a problem if the answer is ‘just because’,” she added. Following the brief program, the group connected over light food and cocktails for an evening of intimate networking. All photos are by Sheila Barabad. For more photos from the event, please visit our Facebook page. For more information on Goldman Sachs, visit their website and careers page. The next #NextGenLíderes event will take place in Chicago on September 20, 2018.